On Monday, debt fears on both sides of the Atlantic sent gold above the $1,600 level for the first time ever. The yellow metal has risen steadily since the start of 2009, when it was trading at a bit less than $900 an ounce. And gold's advance has accelerated of late. The price of gold increased 21% in the year's first half. And even with the decline to $1,587.30 yesterday (Tuesday), the yellow metal is up 7% since July 1. Many investors and investment pundits are claiming this gold-plated party is destined to end: When the Eurozone gets its house in order and our elected leaders in Washington finally reach a federal budget accord, these gloom-and-doomers say the price of gold will plummet. But I say they're wrong. Gold isn't going to crash. In fact, it isn't even going to hold steady at current levels. 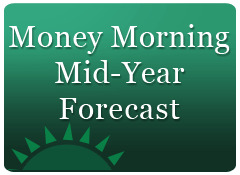 The price of gold is destined to soar during the next six months to nine months. And I'm going to show you the best way to hitch a ride on this rocket. I've been analyzing gold miners and other natural-resources investments for a long time. Now, when I'm analyzing precious-metals-related investments for a Money Morning column, or for the subscribers of my "Global Resource Alert" trading service, there are certain financial indices that I like to study. And I especially like to see how each of these indices behaves against one another. One of the most valuable – and telling – of these relationships is the one that compares the price of gold to the U.S. Standard & Poor's 500 Index. To make this comparison, I use two exchange-traded funds (ETFs) as "proxies" – stand-ins – for each of these investments. The SPDR Gold Trust (NYSE: GLD) represents the price of gold and the SPDR S&P 500 (NYSE: SPY) serves as a proxy for the broad stock market. If we look at what has happened over the past six years, the trend is undeniable: Thanks to the U.S. Federal Reserve – first because of aggressive rate-cutting by former Fed Chairman Alan Greenspan, and then due to the massive debt expansion engineered by successor and current Fed honcho Ben S. Bernanke – gold is in a clear uptrend. We all know that U.S. stocks endured a horrific freefall in late 2008 and early 2009 – only to launch into a "V-shaped" recovery that turned into one of the most powerful bull-market rebounds in U.S. history. But if we factor out that dizzying whipsaw move, the bottom line is clear: Despite Bernanke's unbridled moneyprinting, U.S. stock prices are lower today than they were back in 2007, when the global financial crisis began. And as the accompanying chart demonstrates, this woeful period for U.S. shareholders has been very bullish for gold investors. Even more interesting – and bullish – is how gold has reacted to bear-market moves for stocks: During the most-sizeable share sell-offs, we saw strong surges in the price of gold. Governments around the world have taken on massive amounts of debt. That's not a problem that can be solved overnight. And the longer it takes to fix, the greater the odds that we'll see a sovereign-debt default whose fallout will be far greater than anyone now expects. As we saw Monday, just the fear of a sovereign-debt default was enough to tip stocks into a nosedive. And any such nosedive will clearly be good for the price of gold, which will power higher in the very midst of sizeable stock sell-offs. In the very near term, if governments are able to allay debt fears, we could see a period of "consolidation" for gold prices. But there's no way to eradicate all this debt in a short period of time. That means this issue will resurface again and again. So long-term, the global-sovereign-debt crisis will be very bullish for gold. As we saw, there's a relationship between stock prices and the price of gold that gives us a way to predict just where the "yellow metal" may be headed. In my years as a natural-resources analyst, I've come across several other value measures, which I've also put to good use. One of my other favorites is a useful ratio that can be calculated by comparing the relative value of gold versus gold stocks. And this ratio tells us that gold stocks are currently a very compelling value. 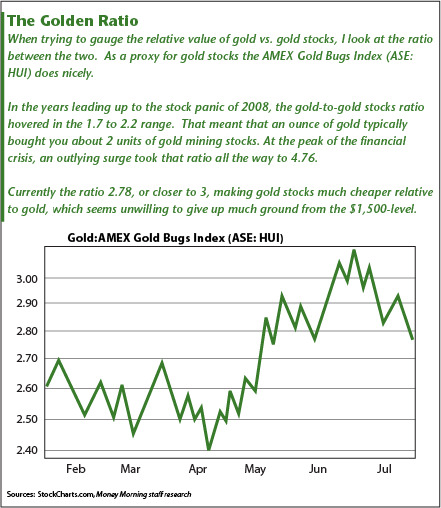 As a proxy for gold stocks, the AMEX Gold Bugs Index (AMEX: HUI) does nicely. In the years leading up to the stock-market panic of 2008-09, the gold-to-gold stocks ratio hovered in a range of 1.7 to 2.2. That meant that an ounce of gold typically bought you about two units of gold-mining stocks. At the peak of the financial crisis, an outlying surge took that ratio all the way to 4.76. 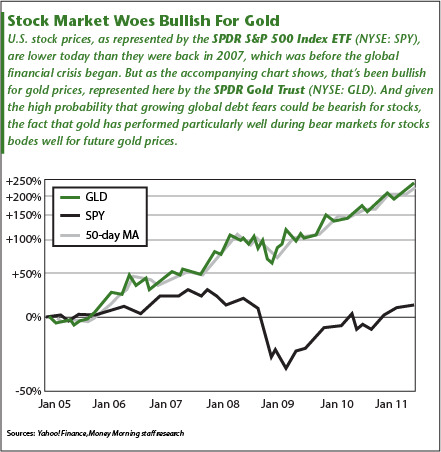 Essentially, the bear-market sell-off made gold stocks very cheap on a historical basis relative to gold. And that set up a tremendous buying opportunity. In fact, it was the best buying opportunity since this secular bull was launched in 2000. But here's where it gets really interesting. After bottoming in April, the Gold/HUI ratio surged up to 3.0, making gold stocks much cheaper relative to gold, which has been unwilling to give up much ground from the $1,500 per ounce level. At that point, gold stocks hadn't been this cheap since April 2009 – when they went on to gain 82% in just eight months. Currently – even with the price of gold just below its record high – the Gold/HUI ratio is only at 2.8 (see the preceding graphic). Given the likelihood that this ratio will begin reverting back to its long-term level near 2.0, we have the right ingredients in place for a follow-up surge in gold stocks to play out during the next six to nine months. It's always possible that gold could fall, which would help the ratio correct back toward 2.0, without as much of a gain required from gold stocks. But given the forward-looking fundamentals underpinning the price of gold, I'm not expecting much weakness. That's why I am bullish on gold stocks right now. So what's the right move, you ask? So as you look for compelling value from the marketplace in this "risk-off trading" environment, keep in mind that gold stocks are about as attractive as they've been in more than two years. Those are pretty sweet odds. Don't let them pass you by. [Bio Note: When gold set a new record north of $1,600 an ounce this week, Money Morning natural-resources guru Peter Krauth wasn't surprised: Since 2009, when gold prices were trading at a bit more than $900 an ounce, he's repeatedly predicted a run-up of this magnitude. 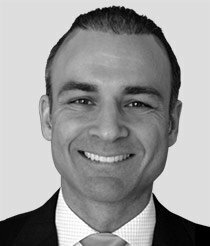 With sovereign-debt crises and slowing economic growth inducing a paralyzing fear in most investors, Krauth continues to provide clear predictions on investments that will soar despite these challenges. 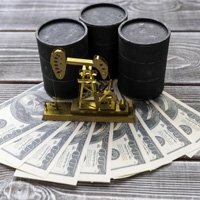 Krauth wants to offer you the same guidance, to show you the best ways to play the ongoing gold rush he sees, and to offer you the best profit opportunities in silver, liquefied natural gas (LNG) and other "real" investments – not the worthless paper that Wall Street peddles. Krauth outlines the hottest profit-making strategies in gold, silver and other commodities in his Global Resource Alert investment service. Gold to fall sharply if debt crisis fixed: Allan Gray. Peter Krauth is spot on. The planet is being railroaded to an unprecedented economic correction to sanity.Debt will by worth what you can enforce the debtor to pay. Can China force the US to pay ? There is however an easy way out for the US. The draconical solution will solve two problems. PS. My consultancy compensation for this transaction will be 1.000 Oz of gold transfered to Switzerland. For the longest time I was in the gold markets but not really OF them. I eventually, through a recommendation of an older friend of mine, found this forecast. Like everyone else, I was skeptical of ANY forecaster, but Gary Wagner is shockingly accurate. I'm not a millionaire or retired at 44, but I'm doing very, very nicely. BUY MORE GOLD, SILVER ,PLATINUM,OLD COINS,TRADE YOUR CDS FOR GOLD. DONT KEEP A SUPPLY OF CASH IN THE BANK.GET READY FOR THE BIG ONE.